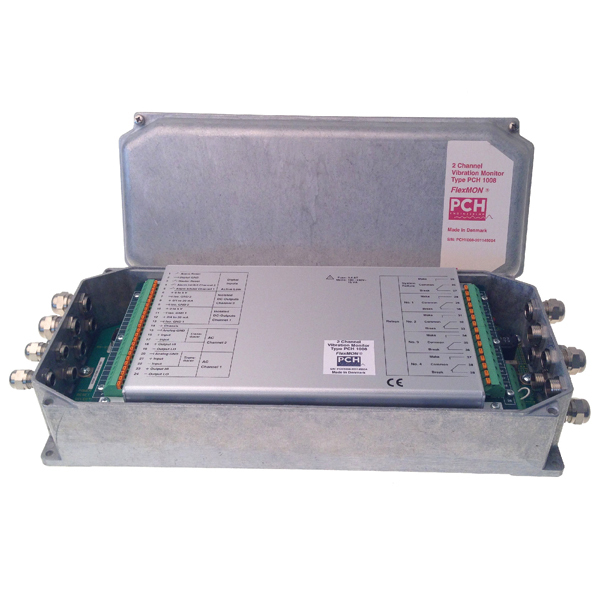 The PCH 1008 is a digital multipurpose monitor with 2 input channels for IEPE or 3-wire accelerometers, configurable alarm levels, 4-20 mA outputs and delivered in an IP67 casing. Each input channel can be configured with filter ranges from 1 Hz up to 10 kHz and supports both acceleration, velocity and displacement measuring units. This vibration monitor is a highly ruggedized measuring device for direct installation in the toughest industrial environments.